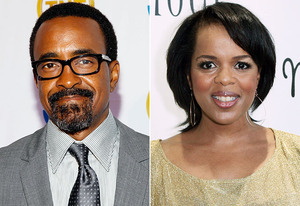 “Saturday Night Live” alum Tim Meadows has been cast as Edmond, Malik’s dad on the series, reports TVGuide.com. He will be joined by Paula Newsome (“NYPD Blue”), who has been cast as Malik’s mom, Tracy. Edmond, is described as the strong patriarch of a close-knit family who moved to Chatswin for the schools, not the people. Edmond boasts one heck of a turkey meatball recipe, but blames himself for the childhood death of his younger brother. Both Edmond and Tracy, will appear the seventh and eighth episodes of Season 2. Meadows most recently starred on TBS’ “Glory Daze.” Newsome is also known for her work on Women’s Murder Club and most recently reprised her role as Vance’s wife on NCIS. The new season of Suburgatory premieres on Wednesday, Oct. 17 at 9:30/8:30c on ABC.